Cloud ERP | ERP the Right Way! 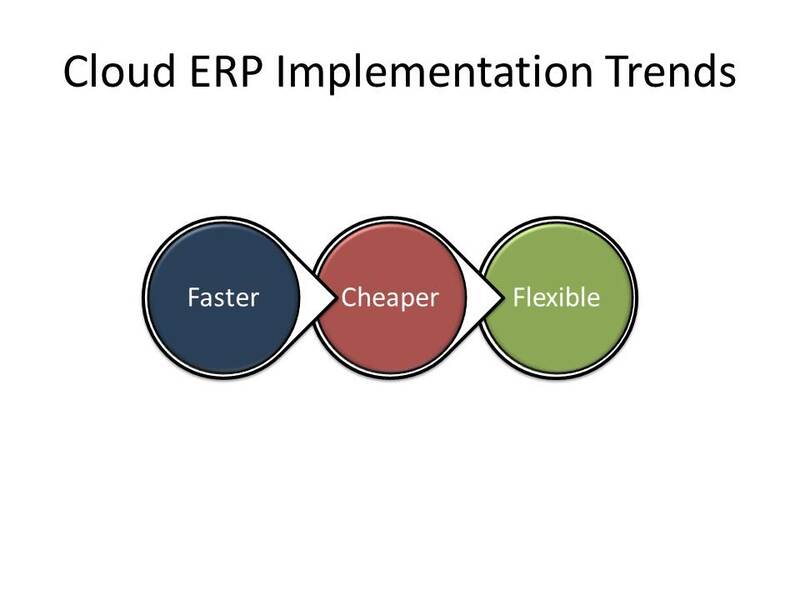 Transitioning from an on-premise ERP system to a new cloud ERP service will result in a short-term reduction in ERP user efficiency. This is less of a theoretical discussion but a practical reality that we need to manage. There is never enough hands-on training or testing because we live in a reality of resource constraints. Moving to an ERP cloud service model is a business risk and no ERP cloud service provider will ever eliminate that risk! The purpose of this blog is to provide recommendations to minimize the business risks associated with your transition to the cloud. Stabilization is the period of time required for ERP users to acquire the same level of efficiency in supporting business transactions. It is more than just having the new cloud ERP service support the existing business transactions but also that the user can process the business transactions with at least the same level of efficiency and reliability. Any competent Systems Implementation (SI) Partner must realize and plan for stabilization activities. In the next section, we will briefly discuss how to manage this transition period. Hands-on experience is the best trainer. A single week for user involvement is simply not enough time to ensure the same level of ERP user efficiency. Users should be involved in prototyping activities before User Acceptance Testing (UAT). Just In Time training is just plain wrong for cloud ERP. “Although consultants may participate in testing to some extent, employees should drive the majority of testing. Doing so maximizes knowledge transfer and readies them for real life under the new system.” Why New Systems Fail. Phil Simon. To reduce testing resources and time commitments, some ERP cloud implementations may reduce testing scope to only focus on business activities that will occur in the first week of go-live (bad practice). I recommend that key business milestones (ex. month-end, quarter-end processing) are part of the implementation testing plan. Loading testing is the most accurate method to determine if the new cloud ERP model can handle the daily activities required to support the customer’s business. If the cloud ERP provider is truly invested in the customer’s success, then this service should be a standard offering and not an additional cost. Test scenario priority should be based upon two factors: (a) frequency and (b) business impact. This recommendation is based upon the fact that there is typically no appetite to conduct a complete parallel financials test with the current production ERP environment. One of the unforeseen challenges with an ERP cloud service is that there are more complexities (dependencies) with identifying root cause. Copy of Production environment: A copy of the production ERP Cloud environment to replicate and perform additional analysis on issues. This copy environment should be updated from the customer’s production environment at least on a quarterly basis. Diagnostic and Logging Tools: Customers should have access and hands-on experience with the vendor’s ERP Cloud diagnostic and logging tools. Granted that the majority of the ERP Cloud diagnostic and logging tools are executed by the ERP Cloud service provider, there is a subset of client-level tools that is also required for root cause analysis. Customer Specific Extensions & Configurations: In order to keep ERP Cloud services cost low, Cloud ERP providers will employ a shared support model where support resources are allocated to multiple customers. The conclusion here is that customers may have to work with ERP Cloud provider support personnel that only have a cursory understanding of their unique configurations and extensions. Therefore, it is in the best interest of customers to develop a high-level customer profile that highlights the key configurations, transactions, and extensions deployed by the customer. Do not assume that every cloud ERP providers’ support personnel have this detailed level of understanding. Without this summary information, support personnel will ask additional questions which will increase the issue resolution time. A best practice is to provide this profile information every time a critical support ticket is created with the ERP service provider. Having access to a competent SI Partner is strategic for customer enablement during the go-live event and transition period. Consulting resources can be available to augment the customer’s help desk resources, address user training gaps, assist with issue resolution and complete knowledge transfer. “Maintain the project team for at least 1 month after the go-live date.” Consider, Select & Implement an ERP system, O’Sullivan, Rico, Goldensohn. Cloud ERP service providers should provide an additional level of support during the go-live event thru the stabilization period. Cloud ERP service providers should provide a dedicated support team versus utilizing a shared pool of support resources during this critical transition. Customers should validate what “24 x 7” support means. Do not assume that same cloud ERP support resources will continually work on your product issue(s). “24 x 7” support may also require that the customer’s users have to be available “24 x 7” to collaborate with cloud ERP support. By timing cutover during slow business periods, a company can use slack time to iron out systems kinks. It also gives employees more time to learn the new business processes and systems. Capacity planning is an estimate. How dynamic is the sizing of the customer’s production environment? Is this real-time or batch? (i.e. if the customer has to create a service request for resizing then the resizing service is not real-time). If batch then the best practice is to oversize at least 125% of recommended sizing. This will ensure that you have extra capacity to spare to complete your first accounting close. The stabilization phase has a huge impact on user experience throughout the entire cloud ERP service lifecycle. It is self-evident that we have one chance to make a first impression. While it is possible to recover from a bad experience, it will take double the effort to recover. Given this potential impact, I will provide some “rules of thumb” that customers can leverage to highlight concerns during stabilization. The longer the stabilization phase the less trust is created between the ERP cloud service provider and the customer. As trust declines so will ERP cloud service adoption and utilization decline. I’m a firm believer that the cloud model can bring out the best of ERP. However, there is no guarantee that the above will happen. It requires a cloud ERP service provider and SI Partner that proactively address the challenges as part of the transition process. Stabilization is a key phase as part of this cloud journey. In my humble opinion, the stabilization phase not only is a technical assessment of the ERP cloud service availability and reliability; it must also include an assessment of the usability of the ERP cloud service to efficiently process business transitions. In the previous post, I discussed a new repeatable method for calculating ERP utilization. In this post, I will define a case study where the utilization model is applied for a customer. A key point to be made here is that the health and effectiveness of the business process is directly related to the performance and utilization of ERP features that support the business process. For our discussion, we will focus on the procurement business process. Following is a generic definition of the procurement business process. To continue this illustration, I will define the key business activities associated with the procurement functions highlighted. I will also define how business activities are likely executed based upon the business process Capability Maturity Model Integrated (CMMI) level. Manual: The business activity is performed manually. We can assume that since the process is manual that the organizational capacity (resources) is lower for adopting mature business activities. Partially Automated: The business activity is partially automated. Manual effort is still required to complete the business activity. Integration is performed manually. Automated: The business activity is completely automated. However, the inputs and/or outputs for the business activity are point integrations at best. Example of this scenario is when a customer utilizes an isolated point solution for a specific activity. Integrated: The business activity is automated with limited integration. Integrations are limited to the immediate input and output business activities. Closed Loop: The business activity is both automated and integrated across the entire business process. The customer has visibility to data and metrics across all business activities. Disclaimer: Now, you may not completely agree with all the information presented in the above illustration, but please do not let that derail you from our discussion. A key premise of the above model is that mature business activities will provide very limited to no business value until the underlying business process maturity levels are implemented. There are two key factors that directly influence business process maturity levels: technology and people. Practically speaking, we can agree that reaching a CMMI Level 4 or Level 5 requires an integrated and closed loop technical infrastructure that supports the entire business process. To complete the model we need to answer the following question: “How does this relate to ERP product features?” There are two aspects to consider. First, what appropriate ERP feature(s) support the business activity. Second, to what level of functionality should the feature be deployed. For example, a standard feature in the accounts payable function is matching. Matching is an audit performed for goods and services through the entire process. Continuing the discussion, if I am working with a customer with a procurement CMMI Level 1 then my focus (scope) will be on implementing either 2-way or possibly 3-way matching in accounts payable. For many of my seasoned colleagues in ERP consulting, this conclusion would appear self-evident. However, to an emerging customer or a new millennial in ERP consulting or sales, this automated guidance would be insightful. I can gather information via the ERP vendors’ websites. Generally speaking, there are at least 4 ERP products (purchasing, inventory, account payables, and supplier management) that support the procurement business process. For argument stake, let’s assume that each ERP product has 20 features and most ERP vendors provide a feature list for each of their product offerings. If my math is right, that means that I would have to wade through 80 features to determine if the ERP product(s) are a possible fit. I contact a sales representative or presales assistant to gather information. Next is a series of business need assessment questions I have to answer before I can get the information I need. Most likely, I would also have to involve business users in the ERP vendor’s information harvesting to get any value from the activity. The power in this approach is to quickly focus on the business activities and corresponding ERP product features that can mature the customer’s procurement business process. Instead of asking a battery of questions that add little value, we can focus on the “low hanging fruit” that can generate quick wins for the customer. However, keep in mind that the customer responded that they have a low OCC. This indicates that we should implement ERP product features that aligns to the customer’s current business activities/maturity. Technology alone does not mature a business process. Keep it simple! Keep it fast! Customers are looking for a specific, cost-effective ERP adoption roadmap that will enable them to mature their business model in a rational manner. Today, this guidance is created by outside consultants costing thousands of dollars and time commitments from business executives. Using the above model gives us a solid foundation that we can enhance versus rebuilding the wheel for every customer. Automating this model and improving guidance via machine learning enables ERP vendors and consultants to accelerate guidance delivery to customers. Even with the cloud, ERP implementation services and guidance are still the largest costs that make up Total Cost of Ownership (TCO) for customers. As the cloud delivery model continues to squeeze TCO, ERP vendors and consultants have to find most cost effective methods to deliver specific value and guidance to customers. Machine Learning, CMMI Business Models and ERP Utilization Models can be key enablers to automate guidance and business guidance. There are not many public theories on how to maximize ERP utilization. There are approaches that do a commendable effort in identifying some of the factors that influence ERP utilization. What is lacking are predictability, repeatability and harmony across the key components of a business solution. In my 25 years of ERP consulting experience, I have never encountered a single customer that utilized over 60% of the ERP software. Given the lack of utilization and the money needed for Cloud ERP implementations, I am convinced this is a problem that finally must be solved! We are in the second generation of ERP software and the only advancement that we in the ERP implementation arena have made is to retract our initial recommendation of customizing ERP for greater customer value! The purpose of this article is to provide an overview of my theory on ERP utilization. The scope of this article will focus on the Cloud ERP deployment model. I have yet to complete the rigors of the scientific method to verify my theory. However, I would like to share my concepts with you and partner with you in growing the collective knowledge. Before we jump into the model there is a fundamental assumption that must be addressed. First and foremost, services trump software in an ERP cloud delivery model. If the customer does not have any reliance or trust on the available ERP services, the window for greater ERP utilization is exponentially reduced. Given the assumption that the ERP Cloud vendor provides a competent level of cloud ERP services (prerequisite), I will explain my theory on ERP utilization. First we need to revisit the concept of a business solution, the key components, their relationship, and influence on ERP utilization. Capability Maturity Model Integrated (CMMI). Organization Capacity for Change (OCC). 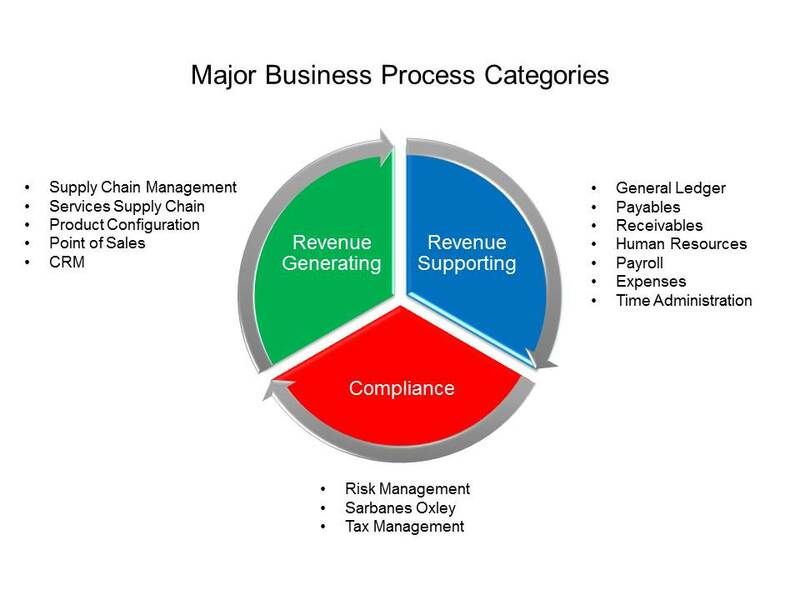 The reasons why I selected CMMI as the business process maturity model are (1) general adoption and acceptance, and (2) business process maturity characteristics can be observed. I appreciate the fact that CMMI primarily focuses on software development activities and unfortunately ignores business process re-engineering. However, I believe that the CMMI model as effective model to elaborate on my themes on ERP utilization. I find that Organizational Change Management (OCM) is more of a project-based effort to enable an organization to meet a specific event. This approach works very well with an On-Premise ERP solution where upgrades are measured in years. However, in the more dynamic Cloud ERP solution model, change is more rapid. ERP Cloud updates and upgrades happen in months, not years. What I really like about OCC is the greater focus of providing the organization with the skills and flexibility to handle known and unknown changes. Organizations change one person at a time and if every person has the capacity to be a change agent, then naturally the organization will adopt and manage change faster. OCC is an emerging model, thus there is limited content regarding how to assess and measure OCC for an organization. If an organization has to wait on an ERP Cloud vendor or a Systems Implementation (SI) consultant to provide guidance on ERP utilization strategies then there is a high probability that the organization will never reach their ultimate goal of effective ERP utilization. The organization’s ERP experience will be more reactive than proactive. A set of ERP features require a certain level of organizational and business process maturity for a successful experience. For additional information, see my article on Business Leads and Technology Supports. Based upon the CMMI level and OCC for the customer, we can infer the ERP features required for maximum ERP effectiveness. OCC has a greater influence than CMMI on effective ERP utilization. Software changes will happen more rapidly in an ERP Cloud delivery model versus a tradition ERP On-Premise model. Therefore, OCC must become an ongoing competency (versus a one-time effort) for long-term ERP success. Based on the above model, I conclude that customer enablement must be an ongoing exercise that runs in parallel or even precedes ERP automation. In a majority of cases, there is a difference between potential ERP utilization and actual ERP utilization experienced by customers. In order to promote repeatability, there should be a logical progression that enables customers to maximize ERP utilization (i.e., roadmap). To minimize ERP Total Cost of Ownership (TCO) and eliminate cost constraints, ERP Cloud vendors should provide customers with the ability to increase ERP utilization without heavily relying on consulting services. Big areas in red represent a subset of possible values given that the scenario occurrence is highly improbable. For example, an organization with a CMMI level 1 maturity cannot expect to utilize 100% of the features available for a Cloud ERP service. The permutations CMMI and OCC levels indicate a linear relationship for targeted ERP utilization. The goal is to define an ERP utilization approach that is repeatable and reliable. Far too often, customers spend thousands of dollars on a “point in time” ERP strategy that requires additional funds to revise the strategy as the ERP technology changes. The ERP utilization strategy must start with “where the customer is at” and provide a series of ERP features and prerequisite enablement activities in order to increase utilization. Any deployment of ERP features that require a significant organization change is not a quick win. People do not change overnight (i.e., Set X). An incremental approach like Business Process Management (BPM) is required when deploying new ERP features at the same CMMI level for a given business process (i.e., Set Y). Set Y includes the BPR enablement activities and ERP feature deployments required to align with the logical maturity path. Note that only incremental change is required to implement targeted ERP features (thus, a quick-win). A radical approach like Business Process Re-engineering (BPR) is required when deploying new features across multiple CMMI levels for a given business process. Set X includes the BPM enablement activities and ERP feature(s) deployment required to align with the logical maturity path. The practical aspects of this model are (1) the roadmap must start where the customer is at in their business process maturity, (2) utilize an increment (agile) approach to build organization momentum, and (3) realize that organizational momentum will carry a customer through the radical changes required for maximizing ERP utilization. Z represents the paradigm shift from a functional business function focus to a business process focus for organizational optimization. Z’ represents the paradigm shift that competitive advantage only comes from revenue-generating business processes. Organizations have a limited amount of resources and should prioritize business process maturity priorities accordingly. By definition, organizational paradigm shifts required a Business Process Re-engineering (radical) effort. I conclude that a prerequisite for a business process to mature to a CMMI level 3 (Defined) requires the organization to acknowledge and manage across multiple functional areas (Z). The ability to be more proactive requires a robust communication and coordination of business activities across multiple functional departments. It signifies the first step of an organization to evolve from the traditional management philosophy of “division of labor”. The next paradigm shift (Z’) requires the customer to understand that (1) some business process (es) are more important than others (i.e., revenue-generating vs revenue-supporting), and (2) an organization has only so many resources (constraint). As we move forward in a hyper-competitive market environment, additional pressures will continue to minimize costs. The model states that all business processes can mature to a CMMI level 5 but the cost realities suggests a greater focus on the competitive, revenue-generating business process (es). Speaking from practical “hands-on” experience, if customers never breaks through these paradigms then the customer’s Cloud ERP experience will be frustrating rather than enabling. There is no such thing as a “steady state” for Cloud ERP. Either the customer is moving forward with deploying new ERP Cloud features or fixated on the limitations of their ERP Cloud services. Even with a cloud delivery model, the key cost associated with ERP has not dramatically decreased. The ratio of ERP software cost to ERP implementation cost has increased from 3:1 to 6:1. It is only a matter of time before the ERP market forces ERP vendors to drastically reduce implementation costs while maintaining a sufficient level of customer enablement. Given the rise and general adoption for Cloud ERP services, ERP utilization is becoming a more strategic competitive advantage for Cloud ERP vendors. What I see as an emerging demand from the ERP market is a reliable, repeatable method for maximizing ERP utilization. I have cast the first stone – let’s see what evolves from the ripples in the pond. FYI: I’m working on gathering 200 quotes. Not there yet but I’m still reading and exploring. Education never ends. “For any organization there are just a few key processes that handle the core business. All the other processes support the key processes on a certain aspect.” ERP: Tools, Techniques, and Applications, Carol Ptak, Eli Schragenheim. “To maximize a revenue-supporting process is illogical as it will take effort away from revenue-generating business processes.” Bill Curtis. “Rules always cost the business something. This cost must be balanced against business risks.” Principles of the Business Rule Approach, Ronald Ross. “Reduce complexity through standardization.” Lean Six Sigma for Service, Michael L. George. “Organizations with broken systems typically suffer from broken business processes and vice versa.” Why New Systems Fail, Phil Simon. “The cost of control obviously should not exceed the cost of inaccuracies.” ERP: Making It Happen, Thomas Wallace & Michael Kremzar. “Testing is the only way to ensure that you have satisfied all of the requirements for accurate data.” Consider, Select & Implement an ERP system, O’Sullivan, Rico, Goldensohn. “Making the effort to understand your customer’s expectations can save a lot of friction and extra work.” Rapid Development, Steve McConnell. “A key aspect of enriching mental models is bringing assumptions to light. People’s assumptions are their blind spots.” Developing Knowledge-Based Client Relationships, Ross Dawson. “Not all process-integration problems are technical and not all about IT. Integrating computer systems is not the same as integrating the business.” Business Process Management – the Third wave, Howard Smith and Peter Fingar. “Adaptive approaches are good when your requirements are uncertain or volatile.” Agile Project Management, Agile Software Development. “A common mistake is to design and configure the system for only the first site and worry about the others later.” Control Your ERP Destiny, Steven Scott Phillips. “The cost of complexity isn’t offset by what you can charge. Complexity creates opportunities for you to fail your customer.” Gerand Arpey – President of American Airlines. “Customers tend to interpret requirements broadly, and developers tend to interpret them narrowly.”, Rapid Development, Steve McConnell. “The proposed process designs should always be designed within the logic of the ERP systems.” Maximize Return on Investment Using ERP Applications, Worster, Weirick, Andera. “The ability to trace requirements flow from their source (originator), through the various project phases (design, prototyping, customizations, testing, piloting, and delivery) is a requirements generation best practice.” Directing the ERP Implementation, Michael Pelphrey. “If you do not define the lowest level of detail required for reporting, you will not be able to design the transaction input to achieve that result.” ERP Implementation Best Practices Success And Cautionary Tales, Valerie Campbell CPA CGMA. “When managers of a company select an ERP package to implement, they are “buying into” the ERP vendor’s view of a certain industry’s best practices and relying on the system to support their efforts to embrace these practices.” Modern ERP. Marianne Bradford. “Paralysis through analysis” is a futile attempt to develop the perfect solution. Control Your ERP Destiny. Steven Scott Phillips. “Iterations systematically reduce the trade space, grow the knowledge of the solution, and increase stakeholder buy-in. At the same time, each iteration, or spiral, is planned to mitigate specific risks in the project.” Evolutionary Process for Integrating COTS-Based Systems (EPIC), Carnegie Mellon – Software Engineering Institute. “Requirements creep must first be differentiated from requirements evolution (elaboration).” Agile Project Management. Jim Highsmith. 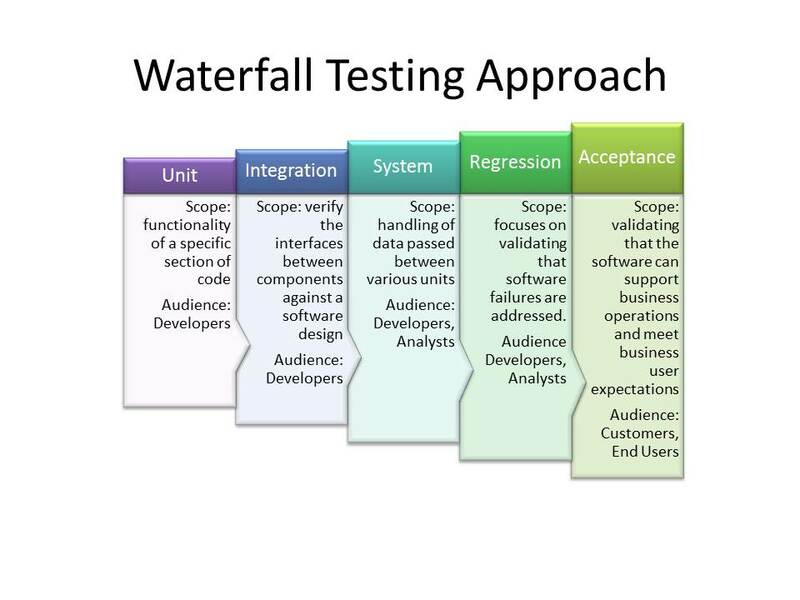 “If you’re using a waterfall model, forgetting something can be a costly mistake. You don’t find out until you get down to a system testing that one of the requirements was missing or wrong.” Rapid Development, Steve McConnell. “The advantage of the incremental approach is that the company can get feedback on the implementation and how it is received and possibly fin tune the implementation strategy.” ERP Demystified, Alexis Leon. “There is no direct relationship between a company size and the complexity of its (ERP) software requirements.”, Control Your ERP Destiny. Steven Scott Phillips. “One of the advantages, but also criticisms, of ERP systems is that they impose a standardized way of conducting business processes.” , Modern ERP: Select, Implement, and Use Today’s Advanced Business Systems, Marianne Bradford. “How you gather, manage, and use information will determine whether you win or lose.” Bill Gates. “Improvements in the use of the ERP system are an outcome of improvements in the process.” ERP – The Implementation Cycle, Stephen Harwood. “Be open to new ways to accomplish the same goal.” The Executive Guide to Implementing Accounting Software, Ken E. Sebahar. “Competitive advantage comes not from systems, but from doing something better than competitors. “ Mission Critical – Realizing the Promise of Enterprise Systems, Thomas Davenport. “Whilst technology is a great enabler, it is not a panacea in itself.” ERP – The Implementation Cycle, Stephen Harwood. “Often the problem lies not with the ERP concept. But in the demand for quick fixes and rapid cures to underlying structural problems.” e-Business Roadmap for Success, Dr. Ravi Kalakota & Marcia Robinson. “Using an ERP system simply to run things in the same way as before implementation is a guarantee of disappointment.” Enterprise Resource Planning (ERP) The Great Gamble, Ray Atkinson. “The goal should not be to fail fast but to learn fast.” R “Ray” Wang: An interview by Bob Morris, Ray Wang. “ERP is first an attitude; second, a process, and only third, a set of tools.” ERP Demystified, Alexis Leon. “An information system only has value when people use it correctly.” ERP – The Implementation Cycle,, Stephen Harwood. “A company may employ the most sophisticated software in the world, but unless information is managed, timely, accurate, and complete, the system serves little purpose.” ERP Lessons Learned – Structured Process, Wayne L. Staley. “Benchmarking has its limits.” The Reengineering Handbook, Raymond L. Manganelli, Mark M. Klein. “One dollar of prevention spent on fail proofing strategies can be worth several thousand dollars of expensive fixes and rehabilitation.” ERP A-Z: Implementer’s Guide for Success, Travis Anderegg. “The success of the Go Live day is measured by the lack of problems.” ERP – The Implementation Cycle, Stephen Harwood. “One guiding tenet is every present: any change we administer should add more value, cost less, or deliver services more rapidly.” Transitioning the Enterprise to the Cloud, Ed Mahon, CIO at Kent State University. “Optimizing individual function areas generally does not result in optimization of the whole process because, within departments, only individual activities are goal oriented.” Business Process Oriented Implementation of Standard Software , Mathias Kirchmer. “Utilize a “test first” approach. Test scripts are written in advance of any configuration or development.” Secrets to a Successful COTS Implementation, Nick Berg. “The first comprehensive picture of whether the accounting numbers balance and make sense will arise during the month end process.” ERP – The Implementation Cycle, Stephen Harwood. “Users only care about their experiences.” Transitioning the Enterprise to the Cloud, Ed Mahon, CIO at Kent State University. “Collectively employees do understand the processes, but individually, they do not.” Control Your ERP Destiny, Steven Scott Phillips. Applying knowledge is the final step that makes the knowledge valuable. Developing Knowledge-Based Client Relationships, Ross Dawson. “End results modeling and pilot room testing with the company can eliminate surprises and uncover almost all “invisible” ghosts in the closet”. ERP Readiness Checklist, Gerry Poe. “Content without the context of business process is meaningless.” Dennis Howlett. “Reliability is results driven. Repeatability is input driven.” Agile Project Management, Jim Highsmith. Process thinking is a discipline. Maximize Return on Investment Using ERP Applications, Worster, Weirick, Andera. “Are the business processes that will be automated clearly understood and documented? An adage says, “If you don’t know where you’re going, any road will take you there.” The software equivalent is less positive “If you don’t know what it is you’re automating, no system will help””. Successful Packaged Software Implementation, Christine B. Tayntor. “Decreasing variability early in the process has larger impact than decreasing variability late in the process.” Lean Software Development. Mary Poppendieck & Tom Poppendieck. “The rule is efficiency never trumps effectiveness”. ERP Lessons Learned – Structured Process, Wayne L. Staley. “Good design can’t fix broken business models.” Jeffrey Veen. “All of the work that goes into development is not adding value until the software is in the hands of the customer.” Lean Software Development, Mary Poppendieck & Tom Poppendieck. “The way to reduce the impact of defects is to find them as soon as they occur.” Lean Software Development. Mary Poppendieck & Tom Poppendieck. “Optimizing a business function is futile and non-value-added if it is not part of a revenue/competitive business process.” Maximize Return on Investment Using ERP Applications. Worster, Weirick, Andera. “Remember that if you fail to implement, who cares what the software (ERP) does?” Modern ERP, Marianna Bradford. “You give me good people and a great process, and we’ll beat any organization with the best technology but a poor process and under motivated people.” Information Week – Focus on the Process. Doug Patterson, VP and CIO. “The assumption is the thicker the report the greater the “due diligence”. This may actually be measuring waste, not actionable information.” ERP Information at the Speed of Reality: ERP Lessons Learned, Wayne L. Staley. “Untrained (or under trained) users may end up needing three to six times as much support as end-users who have been trained.” ERP: Tools, Techniques, and Applications, Carol Ptak, Eli Schragenheim. “Prototyping and testing provides one of the highest forms of learning that ERP team participants can receive.” ERP A-Z: Implementer’s Guide for Success, Travis Anderegg. “An ERP system cannot be installed without the capability of an organization to change.”ERP A-Z: Implementer’s Guide for Success, Travis Anderegg. “People are one of the hidden costs of ERP implementation. Without proper training, about 30 to 40 % of front-line workers will not be able to handle the demands of the new system.” Consider, Select & Implement an ERP system, O’Sullivan, Rico, Goldensohn. “The users of the ERP will be confronted with a huge amount of data; most of the data will have no relevancy to any decision that needs to be considered.”ERP: Tools, Techniques, and Applications, Carol Ptak, Eli Schragenheim. “Operation and maintenance phase begins with a period of initial struggle until people become comfortable in their roles and tasks. The duration of this stage depends on how effective the training was.” Enterprise Resource Planning, Alexis Leon. “Old adage is true: the longer the work stays in process, the more it costs.” Lean Six Sigma for Service, Michael L. George. “Every forward-thinking enterprise values productivity, which is one of the first things to suffer when technological systems are not end-user-friendly.”, Enterprise Resource Planning, Alexis Leon. “When data cleansing or manual translations are required, end users should be part of the team.” Successful Packaged Software Implementation, Christine B. Tayntor. “Untrained users simply do not take advantage of the system for the intent that is was purchased.” Enterprise Resource Planning , Alexis Leon. “Education may be viewed as understanding of concepts and practices. Training, however, if the application of education into day-to-day events.” Directing the ERP Implementation, Michael Pelphrey. “Manual input of data is the best possible training method.” The Executive Guide to Implementing Accounting Software, Ken E. Sebahar. “People can’t be controlled like machines: Service processes are far more dependent on the interaction of people (both internal handoffs and working with customers) than are manufacturing processes.” Lean Six Sigma for Service, Michael L. George. “Go at a pace that suits the organization’s readiness.” Lean Six Sigma for Service, Michael L. George. “The logic is inexorable – the better the training, the faster you will see the business metrics move in the direction you are looking for.” ERP Demystified. Alexis Leon. “Without change, performance would never improve. Modern ERP.” Marianne Bradford. “Resistance, in many cases, is simply a sign of a lack of communication.” ERP A-Z: Implementer’s Guide for Success, Travis Anderegg. “How can one manage change if one does not understand exactly what is changing”. ADKAR – A Model for Change in Business, Government and Our Community, Jeffrey M. Hiatt. “There are limits to how much change an organization and its end users can stomach at once.” Why New Systems Fail. Phil Simon. “In an organization undergoing change, building a resilient work force by widely disseminating the change vision and strategy and by minimizing disruption is essential.” Managing the Change Process, David K. Carr, Kelvin J. Hard, William J. Trahant. Coopers & Lybrand Center of Excellence for Change Management. “Train and then re-train: The best approach to training is to do it several times. Once is not enough. Three recommend points of training are follows are: On Design, Before test, Post go-live.” Top 5 Recommendations to Ensure Your ERP Implementation is Successful, Sandeep Walia. “If you think education is expensive, try ignorance.” Derek Bok. “A common mistake made by many business leaders is to assume that by building awareness of the need for change they have also created desire.” ADKAR – A Model for Change in Business, Government and Our Community, Jeffrey M. Hiatt. “Every organization that implements an ERP system is, in effect, reengineering.” Modern ERP, Marianne Bradford. “A time-tested maxim in training is always to build on what you know.” Principles of the Business Rule Approach. Ronald Ross. “The development of knowledge is an iterative process, in which experience and lessons provide the basis for deeper understandings in ongoing feedback loops.” Developing Knowledge-Based Client Relationships, Ross Dawson. “Nothing is more irritating than being forced to serve the system instead of the system serving the customer”, ERP Information at the Speed of Reality. Wayne L Staley. “Ollie Wight said it well: “Grease-gun education doesn’t work.” He was referring to the one-shot, quick-hit educational approaches tried so often without lasting results.”, ERP: Making It Happen: The Implementers’ Guide to Success with Enterprise Resource Planning, Thomas F. Wallace. “Gartner Research recommends allocating 17 percent of the project’s budget for training. Those companies spending less than 13 percent on training are three times more likely to have problems.”, Concepts In Enterprise Resource Planning, Ellen Monk and Bret Wagner. “A key point: Don’t train before you educate. People need to know what and why before they’re taught how. Education should occur either prior to, or simultaneously with the training.”, Erp: Making It Happen; The Implementers’ Guide to Success with Enterprise Resource Planning, Thomas F. Wallace. “In order to do rapid implementations, trade-offs must be made.” E-Business and ERP, Murrell G. Shields. “Rapid Implementations: The data cleanup must start early in the project for the organization to be prepared for the data conversion.” E-Business and ERP, Murrell G. Shields. “Rapid implementation cannot be done with a massive project team.” E-Business and ERP, Murrell G. Shields. “Deliver sooner rather than later. It is rare to get 100% support for any project; “fence sitters” will wait to see how things turn out before giving their support.” Modern ERP, Marianne Bradford. “The training in a rapid implementation should be hands-on.” E-Business and ERP, Murrell G. Shields. “The four key characteristics or enablers of knowledge transfer in communication are: (1) Interactivity, (2) Bandwidth, (3) Structure, (4) Reusability.” Developing Knowledge-Based Client Relationships, Ross Dawson. “Good people can make a bad system work; bad people can’t make a good system work”. The Reengineering Handbook. Raymond L. Manganelli, Mark M. Klein. “The “Train the Trainer” Pitfall: It is not realistic to assume someone can be trained several weeks before the go-live and expect him/her to deliver quality training.” Control Your ERP Destiny. Steven Scott Phillips. “If your existing data is inaccurate and unreliable a new software system will not fix that.” Consider, Select & Implement an ERP system. O’Sullivan, Rico, Goldensohn. “In order to increase the chances that the conversion will go smoothly, do a dry run test of the conversion plan prior to the real go-live.” Control Your ERP Destiny. Steven Scott Phillips. “When implementing a new ERP system you need to start data migration from the existing legacy business systems as soon as possible.” ERP Demystified. Alexis Leon. “It is recognized that information accuracy is not a system problem, but rather a management problem.” Directing the ERP Implementation. Michael Pelphrey. “Do it once, right at the source.” Principles of the Business Rule Approach, Ronald Ross. “The data migration phase of a project can consume up to 30% of the total project resources. The most common flaw in data migration planning is that too few resources are invested in it.” Top 10 Reasons Why Systems Projects Fail. Dr. Paul Dorsey. “Extracting and cleansing the data from the existing system can be the single largest task in the project.” ERP Demystified. Alexis Leon. “Consultants are there for guidance, but the final say regarding implementation should fail upon the management’s responsibility.” ERP 308 – Most Asked Questions, Leonard Frost. “No implementation partner will have a complete appreciation of the customer’s business solution until the customer makes the investment to perform knowledge transfer with the implementation partner.” Max Your Investment: 10 Key Strategies for ERP/COTs Success, Brett Beaubouef. “There is a misguided belief that experienced consultants face no learning curves with the software.” Control Your ERP Destiny. Steven Scott Phillips. “Competent ERP implementation partners should be able to provide industry and configuration best practices day one.” Max Your Investment: 10 Key Strategies for ERP/COTs Success. Brett Beaubouef. “The more the consultants know about the company the better they will be equipped to provide good advice.” ERP A-Z: Implementer’s Guide for Success, Travis Anderegg. “Bait and switch. This is the practice of displaying certain consultants, during the sales process, to show the sales company understands business and the ERP implementation process to ensure a successful outcome.” Enterprise Resource Planning (ERP) The Great Gamble, Ray Atkinson. “Have successful project managers who are capable of anticipating what can go wrong.” ERP Demystified, Alexis Leon. “No company, no manager is sufficiently brilliant to think about all of the complexities and complications inherent in a cross-functional ERP project.” Mission Critical – Realizing the Promise of Enterprise Systems, Thomas Davenport. “Overspend on consultancy is often compensated for by a cut-back in training. This is not helped by the fact that training costs tend to be under-estimated in the first place.” ERP – The Implementation Cycle, Stephen Harwood. “The less you know the more money they (consultants) make.” Control Your ERP Destiny, Steven Scott Phillips. “Where knowledge transfer is a key objective, project handover should be formalized, rather than just letting the engagement end.” Developing Knowledge-Based Client Relationships, Ross Dawson. “Process is not a substitute for skill.” Agile Project Management, Jim Highsmith. “Selecting the consultants (and an implementation methodology) is as important as selecting the (ERP) package.” ERP Demystified. Alexis Leon. “There is often a level of arrogance in ERP consultants who are taken with replacing existing systems, a level of arrogance that is generally counter-productive.” Maximize Return on Investment Using ERP Applications, Worster, Weirick, Andera. “It is better to know all the questions than some of the answers.” James Thurber. “There is no such thing as an easy implementation of an ERP project.” Enterprise Resource Planning (ERP) the Great Gamble. Ray Atkinson. “Discipline creates well-organized memories, history, and experience.” Balancing Agility and Discipline. Barry Boehm, Richard Turner. “(ERP) Service organizations are essentially big “people machines”, where having a high level of turnover is just as deadly as if a manufacturer was constantly asked to change machine parts.” Lean Six Sigma for Service. Michael L. George. “Implementation audits are necessary to keep the project on track. Audits should be conducted to compare project results, business objectives, systems objectives, and project objectives.” Directing the ERP Implementation. Michael Pelphrey. “Claims of ‘proven paths’, ‘best practices’, and simplistic implementations methodologies, that fail litter the ERP landscape as each software company seeks to gain some form of advantage over its rivals. “Enterprise Resource Planning (ERP) the Great Gamble. Ray Atkinson. Creating documentation is far easier than generating decisions. Producing a great volume of documentation does not result in producing a great amount of knowledge.” Max Your Investment: 10 Key Strategies for ERP/COTs Success, Brett Beaubouef. “Machine learning is a logical progression, not a human inspiration.” Brett Beaubouef. “Roles are finite. People are infinite.” Agile Project Management, Jim Highsmith. “As the level of control increases, the level of innovation decreases.” Max Your Investment: 10 Key Strategies for ERP/COTs Success, Brett Beaubouef. “What businesses need is not a one-time fix for individual processes but an environment that combines business and technical systems to produce processes that flex and recombine as required by changes in the market.” Business Process Management – the third wave, Howard Smith and Peter Fingar. “A real configuration of an ERP system can only happen when there is real data in the system.” Enterprise Resource Planning “Alexis Leon. “Control is not a cost effective substitute for education.” Brett Beaubouef. “As Tom DeMarco and Tim Lister (2003) so pithily state, “If a project has no risks, don’t do it.” Risk is an essential characteristic of innovation”.”, Agile Project Management, Jim Highsmith. “Cost overruns are manageable if the project will achieve worthwhile benefits; however, failing to satisfy business goals is always unacceptable.” Principles of the Business Rule Approach, Ronald Ross. “Customers like rapid delivery. Rapid delivery means companies can deliver faster than customers can change their minds.” Lean Software Development, Mary Poppendieck & Tom Poppendieck. “Lack of alignment of ERP system and business processes is a major issue in the implementation of ERP.” ERP Implementation Challenges & Critical Organization Success Factors, Rajeshwar Vayyavur. “A hybrid (cloud) model will add complexity”. 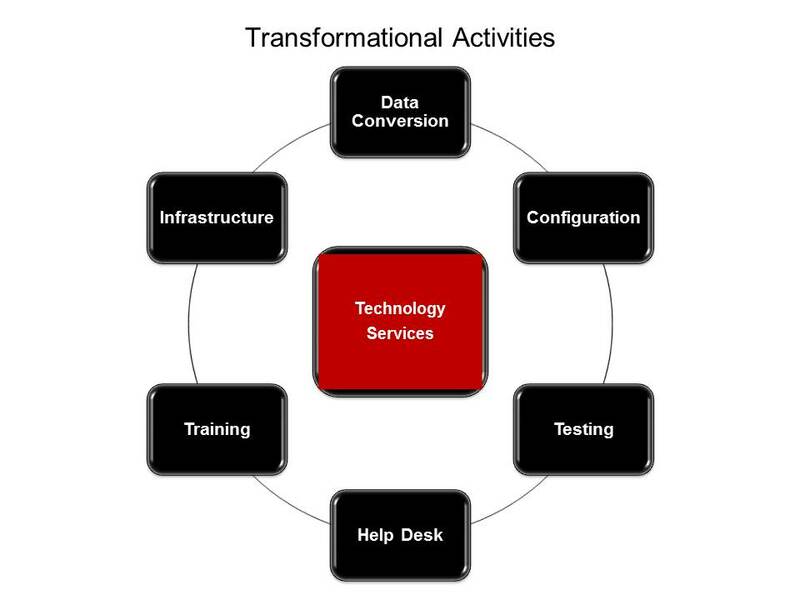 Transitioning the Enterprise to the Cloud, Ed Mahon. “It is important to recognize how fast ERP team members, and organizations, can acquire new knowledge.” ERP A-Z: Implementer’s Guide for Success, Travis Anderegg. “You can have a cheap, fast or quality implementation, but you only get two”. 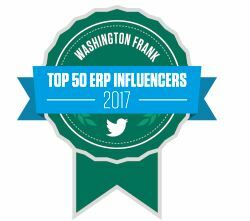 How to select your ERP without losing your mind, Andy Pratico. “Understand the implications of the decisions you make.” Rapid Development , Steve McConnell. “Industry leaders have not effectively defined the set of business skills that should be included in any ERP consultant’s educational process.” Maximize Return on Investment Using ERP Applications, Worster, Weirick, Andera. “One of the biggest mistakes during ERP projects is not taking the time to build a common understanding of how business is conducted today and potential improvement opportunities.” Control Your ERP Destiny, Steven Scott Phillips. “If the project becomes all things to all people, it will fail to meet anyone’s expectations.” Control Your ERP Destiny, Steven Scott Phillips. “A consultant with software knowledge is one thing, but if the consultant is a poor communicator, it undermines the transfer of knowledge.” Control Your ERP Destiny, Steven Scott Phillips. “Job 1 is to run the business. Very close to that in importance should be implementing ERP.” ERP: Making It Happen, Thomas Wallace & Michael Kremzar. “A methodology will help ward off risk, but a contingency plan is still absolutely necessary.” ERP Demystified, Alexis Leon. “The lesson here is that organizations will encounter great peril when the system they seek to install does not fit their culture.” Mission Critical – Realizing the Promise of Enterprise Systems, Thomas Davenport. “ERP Success: Know what features and objectives will NOT be included in the project.” The Executive Guide to Implementing Accounting Software, Ken E. Sebahar. “Regarding methodologies, there is nothing new under the sun. Every methodology is based upon a set of rules, environmental conditions and assumptions. All have strengths and challenges that must be addressed for success.” Max Your Investment: 10 Key Strategies for ERP/COTs Success. Brett Beaubouef. “Due diligence may feel like a waste of time and money, but weighed against the high cost of failure, it is imperative.” ERP Information at the Speed of Reality, Wayne L Staley. “There must be awareness throughout the organization of the importance of scope management.” E-Business and ERP , Murrell G. Shields. “The longer the timeframe and the further apart the milestones in a project, the harder it is to create a sense of urgency.” E-Business and ERP, Murrell G. Shields. “Plans are worthless, but planning is everything.” General Dwight Eisenhower. “Deferring decision(s) will cause significant risks to the (ERP) project success.” Directing the ERP Implementation, Michael Pelphrey. “Many of the major decisions and actions that ultimately determine whether a project is a success or a failure occur very early in the life of the project.” E-Business and ERP , Murrell G. Shields. “The best people for the project are likely to be those who have the least free time, since they are already in key positions.” ERP – The Implementation Cycle, Stephen Harwood. “Success is not to be found in excellent project management alone. ADKAR – A Model for Change in Business, Government and Our Community, Jeffrey M. Hiatt. “There are literally thousands of decisions that must be made on these projects. The project team must be empowered to make most of them. That is one reason organizations must put their best people on these teams.” E-Business and ERP ,Murrell G. Shields. “The rumor mill and grapevine are active in most companies, and it is in the project team’s best interests to preempt them by providing clear, consistent, targeted, and ongoing communications.” Successful Packaged Software Implementation, Christine B. Tayntor. “But technology is not reengineering. Reengineering changes the business processes – the way the work is done.” The Reengineering Handbook, Raymond L. Manganelli, Mark M. Klein. “Projects that skimp on upstream activities typically have to do the same work downstream at anywhere from 10 to 100 times the cost of doing it properly in the first place.” (Fagan 1976; Boehm and Papaccio 1988). Rapid Development, Steve McConnell. “The success or failure of a new system hinges directly on the acceptance of that system by the organization’s end users.” Why New Systems Fail, Phil Simon. “The goal of an integrated enterprise is to reduce information float, that is, the time between when data is captured in one place in the system and when it becomes available and usable. e-Business Roadmap for Success. Dr. Ravi Kalakota & Marcia Robinson. Chris Koch of CIO.com writes, “Blank sheet reengineering can lead to unrealistic business process designs that can’t be implemented through enterprise software.”. “A major cause of this difficulty (failures) is that organizations building these systems tend either to assume that components can be simply thrown together or they fall back on the traditional engineering skills and processes with which they are familiar-skills and processes that have been shown not to work in the building of COTS- based (ERP) system.” Evolutionary Process for Integrating COTS-Based Systems (EPIC) Carnegie Mellon – Software Engineering Institute. “Agile methods universally need close relationships with the customer and users of the systems under development.” Balancing Agility and Discipline. Barry Boehm, Richard Turner. “The truth is, no organization plans to fail – rather, they fail to plan…” Control Your ERP Destiny, Steven Scott Phillips. “Two overriding criteria that mast be present if the implementation of a COTS solution are to be successful: realistic expectations and organizational flexibility.” Successful Packaged Software Implementation. Christine B. Tayntor. “Planning can become mechanistic and succumb to a checklist mentality.” Balancing Agility and Discipline. Barry Boehm, Richard Turner. “The longer a team, large or small, goes without delivering an integrated product to a review process, the greater the potential for failure.” Agile Project Management. Jim Highsmith. “Inclusion of end users promotes acceptance of the solution and helps break down “us versus them” barriers. Working together, the two groups will provide a balanced evaluation.” Successful Packaged Software Implementation, Christine B. Tayntor. “It is only prudent to allow for some slippage in time and budget, and not to count on full project functionality until after testing and installation are complete.” Managerial Issues of Enterprise Resource Planning Systems, David L. Olson. “The highest probability of successful implementations of ERP software is when there is only a minimal need to change business processes and ERP software.” Enterprise Resource Planning Systems: Systems, Life Cycle, Electronic Commerce, and Risk, Daniel E. O’Leary. “Bad processes (and systems) beat up good people.”, Consider, Select & Implement an ERP system, Dr. Jill O’Sullivan, John Rico, Dennis Goldensohn. “Effectively managed implementations are deliverable driven.”, E-Business and ERP: Rapid Implementation and Project Planning. Murrell G. Shields. “Change control is about coordination, not denial.”, Agile Project Management. Jim Highsmith. “For an ERP implementation to go smoothly and provide value, it is critical that a company understand both its current processes and the state of the process after implementation.” Concepts in Enterprise Resource Planning, by Ellen Monk, Bret Wagner. “No ERP methodology is a substitute for thinking.”, Brett Beaubouef. “Making partners of customers means they become more likely to understand technical constraints. You start to get rid of the “I need it all now” phenomenon, and customers begin cooperating to find realistic, mutually satisfying technical solutions.” Rapid Development, Steve McConnell. “The timelier the validation, the better.”, Directing the ERP Implementation, Michael Pelphrey. “ERP systems will not exhibit their full potential unless they are properly integrated with other enterprise software applications.” ERP Demystified. Alexis Leon. “Implementing the ERP system and realizing the promised benefits are two different ball games. Implementation can be a success, but if the operational phase is not planned and organized properly with the support of all the people involved, then the promised benefits will not materialize.” ERP Demystified. Alexis Leon. “Achieving early wins and optimizing user buy-in can pave the way for controlling both political and fiscal costs down the road and increase the chances of delivery project on time and on budget.” Total Cost of Ownership: A strategic tool for ERP planning and implementation. Richard West, Stephen L. Daigle – California State University. “A good system will shine light into dark corners.” Making ERP Work. Sam Graham. “A major overhead in operating ERP systems is entering transactions. Transactions take time, cost money and introduce the possibility of errors.” Making ERP Work. Sam Graham. “One of the unseen inhibitors to ERP utilization is that ERP software assumes that there are no departmental or process conflicts existing with the customer. All are aligned and in harmony with each other.” Maximize Your Investment: 10 Key Strategies for Effective Packaged Software Implementations. Brett Beaubouef. “Perfectly designed automation will only work as well as it is adopted by the people who use it.” Leah Allen. Given that we are well in the third decade of ERP implementations, I still observe ERP implementations following outdated/misguided concepts that do not utilize limited resources to the fullest. One of these misapplied concepts is Just-In-Time (JIT) training. End user enablement continues to be an implementation challenge primarily due to the limited investment made for the most important component of an ERP business solution. This limitation must be addressed in order to realize the value of ERP in the Cloud. Traditional ERP implementation approaches view end users as an audience versus an active participant to leverage during the entire implementation. End users by far make up the largest stakeholder group in an ERP implementation however; they have the least amount of involvement and responsibility. Let’s further contrast and identify opportunities where end-user involvement can have a positive influence on ERP implementations. The majority of testing and hands-on experience occurs with a limited group of users leaving a small window for direct users to gain confidence and experience with the ERP system. The limitation with direct user involvement is based on the premise that a working system is not available until the end of the implementation. This is not the case with a Cloud ERP system that can be provisioned early during the implementation life cycle. 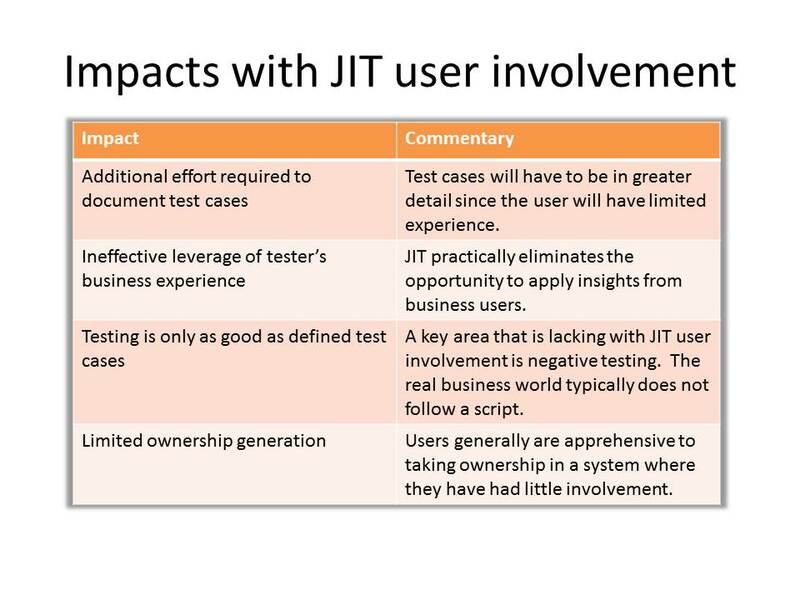 JIT End User training is a big bang approach – one time shot to get end-user training right. It also gives end users limited time to internalize the change. This approach naturally requires additional support and creates a greater potential for user errors. Waterfall is based upon software being developed from scratch – i.e. you could not actively involved end users until the software existed. When ERP came to the market many approach/processes designed for software development were incorrectly applied to ERP implementations. The next section we will discuss how to involve the target audience sooner during a Cloud ERP implementation. Additional validation of the solution via testing. Greater user adoption and enablement. Let’s expand on some key themes. First, education/learning is an iterative process where new information needs to be assimilated by users before knowledge is created. Second, an educated user is a better contributor to the project. Third, it is easier to manage and support educated end users. A forward-thinking end-user enablement process drives greater participation and ownership. Consider that traditional ERP implementation approaches do not effectively leverage the largest resource pool available. I can appreciate that with additional resources comes greater coordination and communication channels (N * (N-1) / 2) yet I have witnessed that the business value outweighs the associated project risk. With the above said I do not recommend we start involving end users without some level of enablement and guidance. 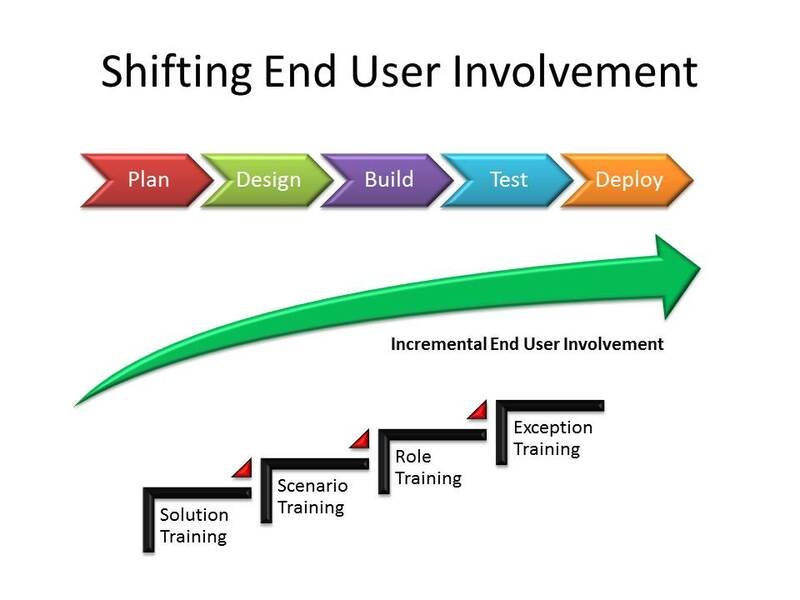 Just as an individual user learns a new system over time the end-user training approach should incrementally prepare the user for greater involvement during the ERP Cloud implementation. The JIT approach is being used to squeeze pennies out of an ERP Cloud implementation when the potential risk that results is far greater and eventually must be solved through additional dollars or lost opportunities. Cloud ERP Service Providers and Implementation Partners should take the lead in promoting and supporting end-user involvement earlier during the implementation. Unfortunately, Cloud ERP Service Providers are not providing a robust set of tools and services for incremental user enablement. Test cases should be business process focused and not just business function oriented. Implementation Partners must also adapt to this new paradigm. It is unfortunate that many implementation partners choose to address ERP Cloud Implementation drivers (mostly cost) by reducing project leadership and transferring user enablement to the customer – regardless if the customer have the required tools/competencies for incremental user involvement. This short-sighted approach ultimately leads to an unfavorable customer experience with Cloud ERP. Just in Time (JIT) is an operations management approach for improving ROI by minimizing inventory and related carrying cost for a production process. JIT is a viable strategy given that the process is production quality and all input variables are within controlled tolerances. Implementing a Cloud ERP solution is not a production quality process nor are all input variables can be controlled. This concept has been applied to ERP end-user training with the intent of maximizing training investment. JIT training reduces the need for refresher training due to ERP knowledge loss experienced if training precedes the go-live event over a long period of time. JIT training may be a valid approach for end users after the ERP Cloud service is in Production but it is a limited strategy to employ during an ERP implementation. 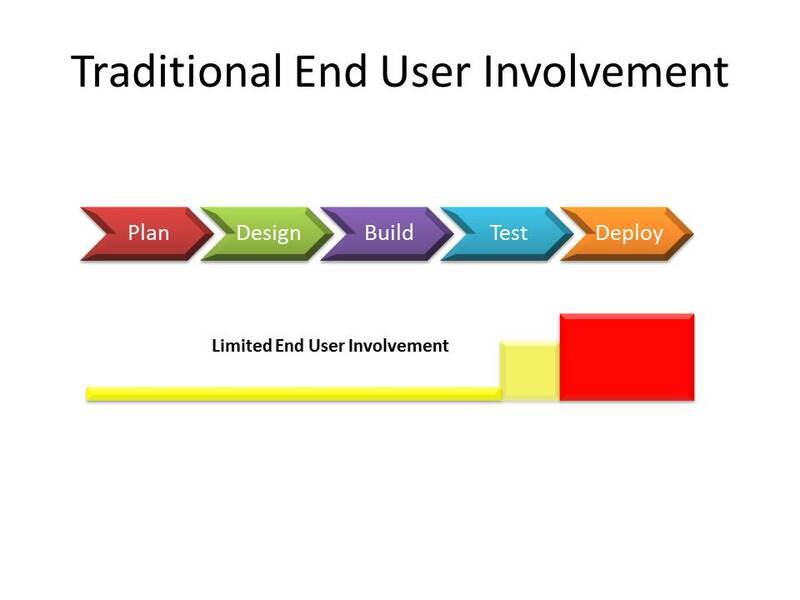 Make the end-user an active partner not a passive customer. How many ERP SaaS offerings are in the market today? The number depends on who you ask but it is a fair statement to say that all Tier I and the majority of Tier II ERP vendors have a SaaS offering. A majority of the market and many ERP analysts still take an on-premise approach to evaluating ERP SaaS offerings. 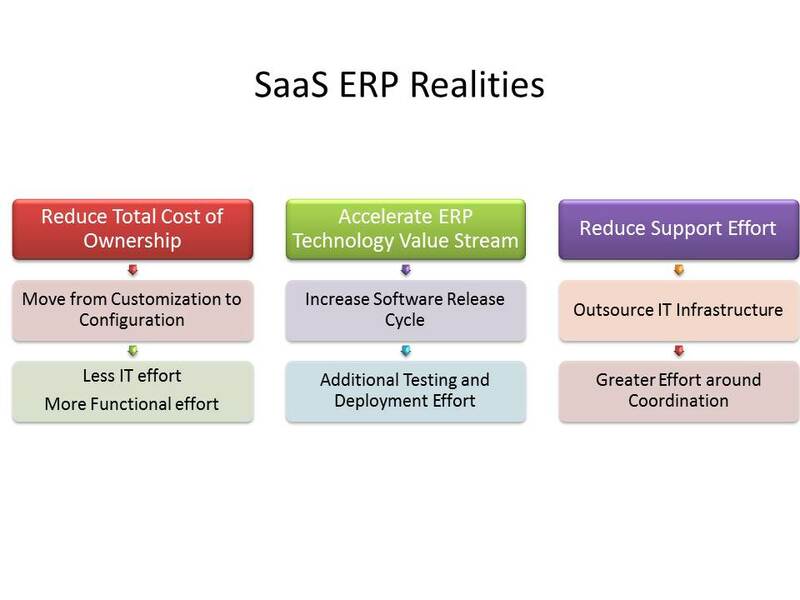 Services, not software, will have the greatest impact on ERP SaaS success. The purpose of this article is to examine the impact services will have in a SaaS model. Even though ERP software and infrastructure can be provided in an accelerated fashion, the business value realization of an ERP SaaS model can only be achieved through the effective delivery of technology services. SaaS ERP is not a push-button solution. I submit that technology services should have an equal or greater emphasis on ERP SaaS selection than ERP SaaS software. Following are a few points I would like to elaborate. First, installed ERP software does not provide any business value own its own. Business value is only realized when software is configured and implemented in a production environment. Second, let’s not forget that an ERP SaaS model is outsourcing technical services to the ERP vendor. Third, ERP SaaS software release cycles will be at least three times faster than traditional on-premise ERP software. That means that a SaaS software model will address gaps in a shorter term. As more customers look at SaaS ERP I believe that services not software will be the emerging competitive differentiator. 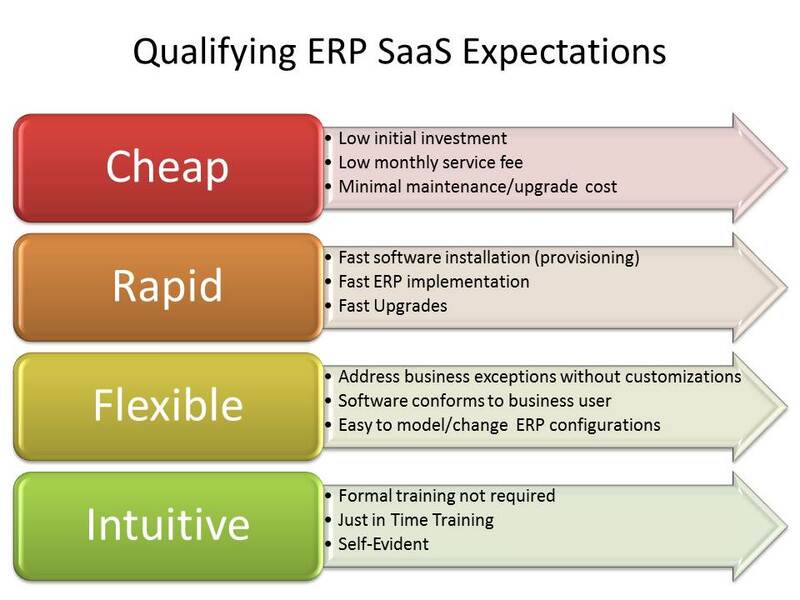 There are some key concepts that should factor in the ERP SaaS selection process. First, competitive advantage only comes from revenue-generating business processes. For example, would having the best of breed solution for SOX compliance enable you to gain market share? Also consider if you would highlight your Payroll system as a competitive advantage to your customers. A best practice is not a competitive practice. Organizations, just like individuals, cannot be the best in everything but it makes sense to be the best in your revenue generating activities. A best-of-breed SaaS solution is of little value if the ERP SaaS provider does not provide competent technical services for reliable integration across multiple environments. Too often we focus on the cart before the horse. I believe that we are experiencing this misalignment with the emerging ERP SaaS market. The best ERP software is of little value if you cannot implement a viable, manageable solution. Technical services provided by the ERP vendor’s SaaS operations will have the greatest, long-term impact for business success. Pick an ERP vendor that will focus on improving both their ERP software and SaaS technical services. SaaS ERP is the latest effort in the ERP industry to provide a rapid, cost-effective solution for customers who want an enterprise solution. A SaaS deployment model does provide the potential for greater value realization; however, the value proposition is dependent upon appropriate expectations and implementation approach. The purpose of the following article is to provide insight to ensure customers make realistic and informed decisions. Cheap: The customer does not need to make a huge expenditure to implement and utilize. Fast: Answer a few questions and have an up and running software in weeks. Flexible: Business users can make changes. Minimize IT involvement. Intuitive: Quick to learn and easy to navigate. We can all agree that the above targets are worthy goals of any ERP solution. However, this is only part of the story. The next section discusses the efforts required to achieve the goals listed. To better understand ERP SaaS expectations we need to elaborate on the desired results that should be realized by customers. Some of the desired results are directly addressed by the SaaS model but the majority of results are addressed either by (a) the ERP software architecture or (b) the delivery model. Example: SaaS ERP does not require an initial outlay of funding for capital expenditures for hardware and related infrastructure. SaaS ERP eliminates the need for a separate effort for ERP software installation and certification. Yet, it is important to remember that ERP software installation represents at most 5% of the total time required to implement an ERP solution. Therefore the SaaS model by itself does not have a dramatic impact on accelerating ERP implementations. Let’s take one of the above desired results to elaborate on the above diagram. A goal for SaaS ERP is to reduce the Total Cost of Ownership (TCO). One of the key ERP design strategies is to enable business users to tailor the functionality to meet requirements without having IT to make a costly customization. However, it is important to understand the shift of effort from IT to functional users. There may be a reduction in the effort or a change in the nature of the work but the effort is still required. There is no “push button” to eliminate this work. For another example let’s take the ERP value stream. ERP vendors can create additional value to customers by providing new and enhanced functionality. 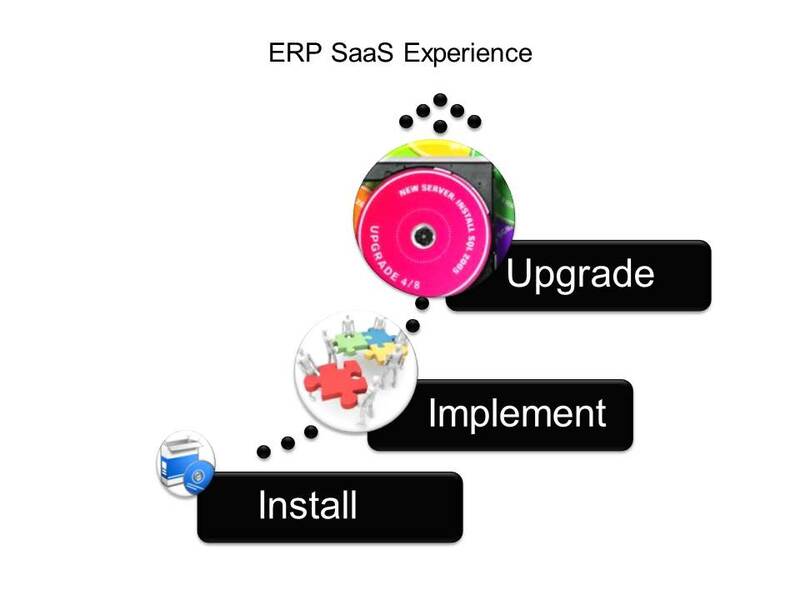 The leading SaaS ERP delivery model should provide a 3:1 ratio increase in the software release cycle. Yet, it is important to realize that more frequent ERP software releases require additional testing and deployment (organizational change) work. It is interesting to note that many of the leading SaaS ERP vendors do provide an out-of-the-box testing automation solution. Again, the customer will experience a shift from technical to functional effort. Sorry if I burst your bubble, but I rather have an informed customer that will have reasonable expectations versus a customer with unrealistic expectations. 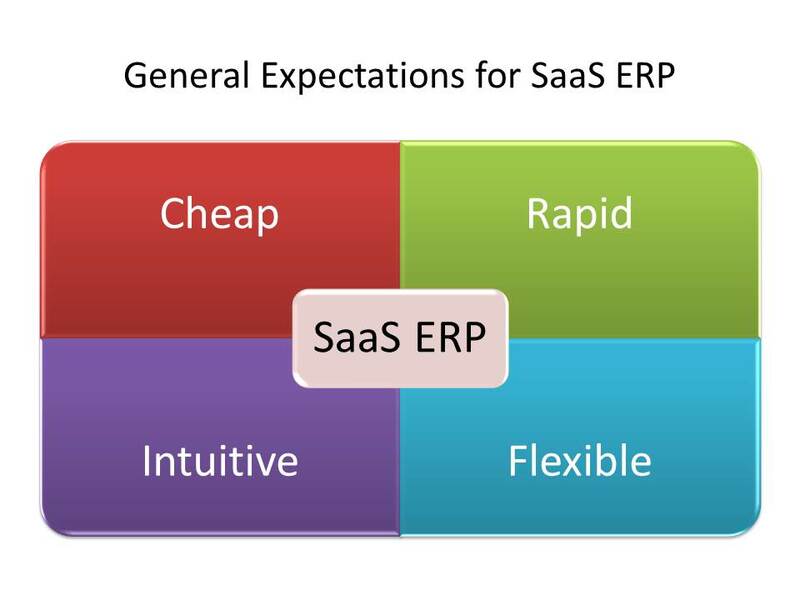 SaaS ERP is one of many delivery models that ERP vendors offer to customers. While it is true that SaaS ERP provide customers with new options not available previously, it is not a slam dunk for all customers. Developing the customer’s use case and understanding all technical and organizational impacts will better ensure an informed decision is reached.